Opportunities are in the planning. 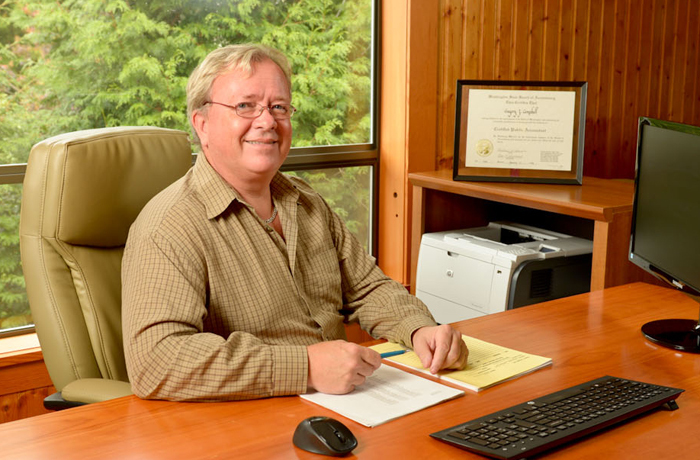 Let Greg Campbell, CPA help you plan to make your personal and financial goals attainable. Tax Services: Tax returns for corporations, partnerships, individuals, trusts and estates; estate and succession planning; federal, state and local payroll/excise tax consulting; tax reduction strategies; choice of entity; tax audit representation. Small Business Consulting: Small business support; cash flow and profitability analysis; business goals; tax planning, succession planning; money management consultation. Money Management Advising: Retirement planning; college and education planning; financial goals consulting.